Commercial appliance disposal isn’t exactly an easy feat to pull off. When you’re remodeling or doing build-out of a commercial space, you’ll generate a lot of waste and debris. But, keep in mind, that now isn’t the time to do anything rash just to get rid of them or to panic to rush through the process. It’s important to act responsibly so you don’t unwittingly cause yourself unneeded trouble. The problem with commercial appliance disposal is really threefold: it’s used, it is also likely old or older, and these are niche products. In other words, there’s not a whole lot of demand. All of this, not to mention the fact you can’t push it out to the curb. Put another way, it’s just not all that simple to get rid of commercial appliances. After all, these are large items and that severely limits what you can and can’t do with them. Sell it direct. Poke around to see if a business in the area needs the appliances. You can even place an ad online to try to sell it directly. Price it to sell, not to try to recoup as much cash as possible. This way, you’ll gain more interest and offload it quicker. Have it auctioned. There are different wholesalers and auction services which will take working commercial appliances. These are generally auctioned and sold at a discounted price, but it will still accomplish your ultimate goal. Give it away as part of the deal. 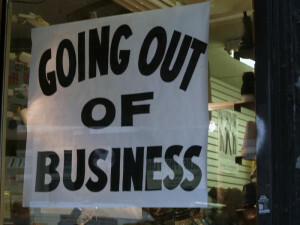 If you are relocating or just getting out of the industry, you can let it go with the sale of the business itself. At the very least, it will make the deal more attractive to potential buyers.